One size does not fit all! Our coverage is customizable to your dog’s unique needs. 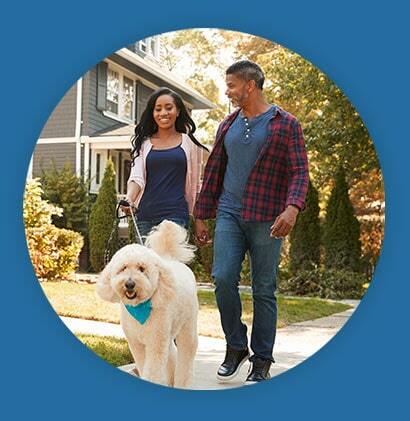 View our dog insurance plans. Cats are individuals. Our coverage is flexible to fit your cat purrfectly. 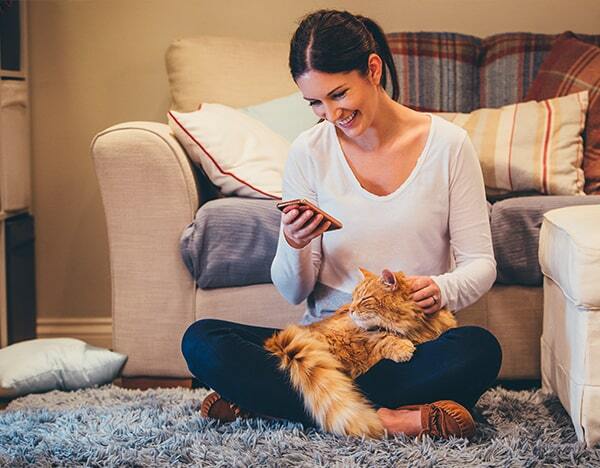 Learn more about cat insurance plans. It’s not easy for a pet parent to refuse the treatment their pet needs because of cost. 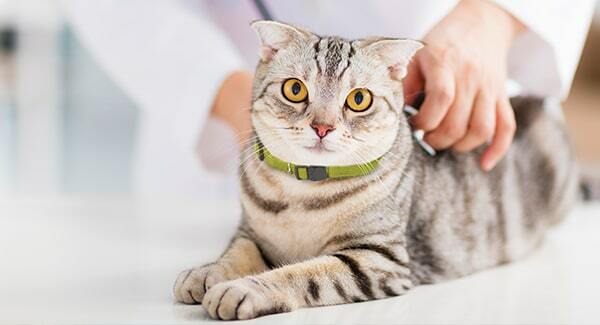 Pet insurance makes it easier to say yes to recommended treatments. Get all the coverage basics, like what it includes, how much it costs, and how to use it, right here. There are a lot of insurance providers to choose from. 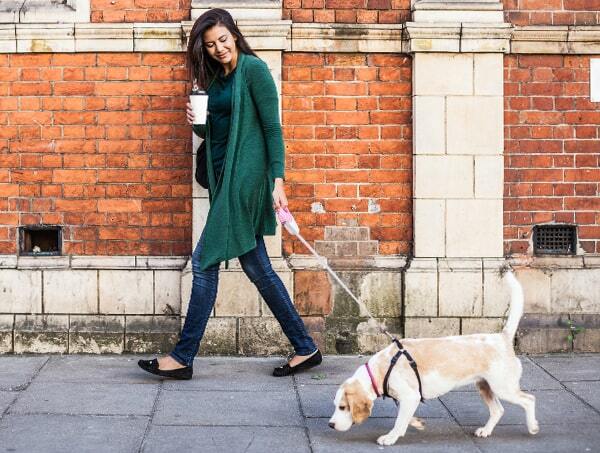 How do you know which is right for you and your pet? See our list of smart questions to ask about each provider. The language used by pet insurance providers can be confusing, which sometimes makes it tricky to figure out what you’re really getting in a plan. Be in the know about coverage terms and conditions with this quick language guide. Visit any vet, specialist, or emergency clinic you like & pay your bill. Submit claims your way - online, by mail, or by fax. Have reimbursements directly deposited into your bank account or mailed. Start coverage before your next visit. Get a quote today. 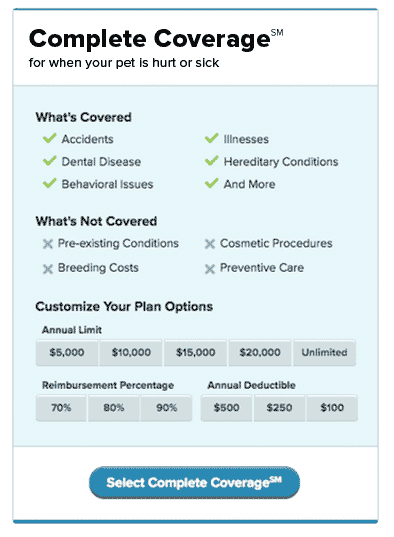 Your premium will depend on the coverage you choose, your geographic location, and the species, breed, and age of your pet. But don’t worry – you can get the right pet insurance plan at a price that’s right for you with our customizable options. In case you're just looking to have some cushion if your pet gets hurt. Vaccines, dental cleanings, screenings, and more! Has your feline come down with a case of the itchy-scratchies? Pets are great at getting into things they shouldn’t. That’s why it’s important to pet-proof your home. Are you wondering about pet insurance? Let's dig in! This painful condition is quite common. Learn what the signs are and what you can do if your dog has it. Looking for more insight on the helpfulness of dog insurance or cat insurance? You might find our TrustPilot page to be useful. It’s filled with customer reviews of ASPCA Pet Health Insurance. Check it out today for the inside scoop on our coverage for cats and dogs. 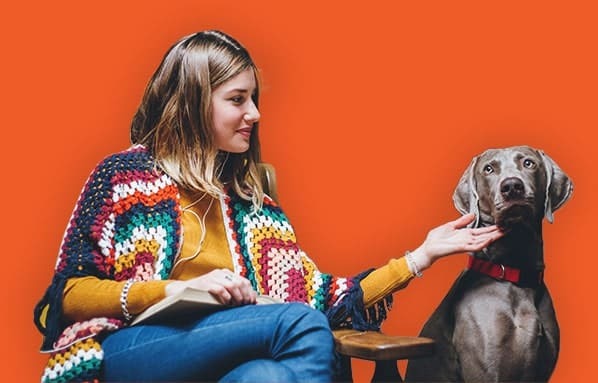 Looking for more insight on ASPCA Pet Health Insurance? Check out our reviews on TrustPilot.